Clown Ante - clowneri och pantomim! Clowning and mime! The clown comes with joy, warmth and fellowship. The clown is understood by everyone no matter age, language or background. That is why a clown is always appreciated in every occation where you want to give happiness, rise the spirit or just give something special to people to remember. 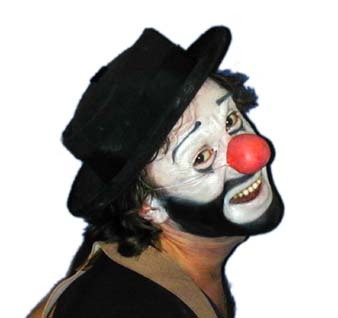 Clown Ante plays and improvises through mime and clowning in a joyful performance for all ages.